A 10-year-old girl from Yemen, whose heart-wrenching YouTube video plea for an end to the violence in her homeland has touched social media users, has spoken to RT about the constant fear of death she has to live with in the war-torn country. “I used to feel safe, safe with my family, and we felt freedom. But in these days we stay at home, we’re afraid that we go to a place and they bomb it, we’re always scared,” Yara Al-Mutawakel, who lives in the besieged Yemeni capital, Sanaa, told RT Arabic. “We never stop thinking of death,” she adds, saying that at the sound of the airstrikes that have been the background noise in and around Sanaa for the past 18 months she thinks she’ll be their next target. “Any innocent child in Yemen could be the [next] victim. Yemeni people and children can’t [feel] freedom anymore at all,” Yara says. The conflict in Yara’s homeland has been raging for over a year and a half and has been worsened by often indiscriminate airstrikes conducted by the Saudi-led coalition against Houthi rebel forces. The Saudis and their allies are trying to restore the Riyadh-backed government of the exiled Yemen president, Abd Rabbuh Mansur Hadi. In the video she posted on YouTube less than a month ago, Yara says she remembers the day it all began as if it were only yesterday. She also tells viewers of her constant fears that her family will be killed, of her problems sleeping because of the constant bombing, and of her contempt for the Saudi-led coalition. “The Saudis are lying, they are lying to all the countries that are giving them money to fight against us and destroy our country. “They are telling them, ‘We are just helping [Yemenis],’ but they are not helping us, they are destroying us… destroying our schools, our factories, making children die – my family, all families, are maybe going to die,” she says. The United Nations says that at least 10,000 people have been killed since the escalation of the conflict in March 2015, including countless civilians. In the latest attack, at least 19 civilians were killed on Wednesday when a Saudi-led coalition airstrike hit a house in western Yemen, Reuters reported, citing residents, medics and a local official. Saudi officials, however, continue to follow the line that aircraft of the Arab alliance only target military facilities in Yemen. UNICEF has been able to confirm that 1,121 children have been killed and another 1,650 injured, but these are only verified numbers, while the actual numbers are likely to be higher. 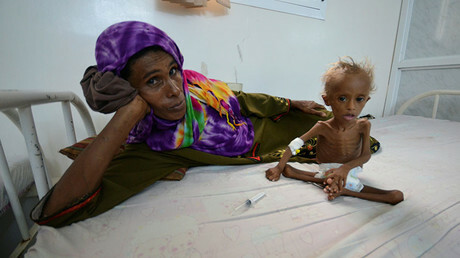 Due to poor sanitation and lack of access to clean water in one of the most water-scarce countries on the planet, some 320,000 youngsters are suffering from severe malnutrition, while the UN World Food Programme says nearly half of Yemen's 22 provinces are on the verge of famine. The UN children’s agency recently stated that some 2.2 million children are in need of urgent humanitarian assistance. Yemen’s civil war has cost the country some $14 billion so far, according to a confidential joint report compiled by the World Bank, UN, the Islamic Development Bank, and the European Union. Meanwhile, on Wednesday the US Senate cleared the way for a $1.15 billion sale of tanks and other military equipment to Saudi Arabia, which adds to the $1.29 billion US sale approved last November to replenish the Saudi Air Force’s arsenal, despite widespread public criticism. Amnesty International had repeatedly stated this weaponry is being used in illegal and deadly attacks on civilians. 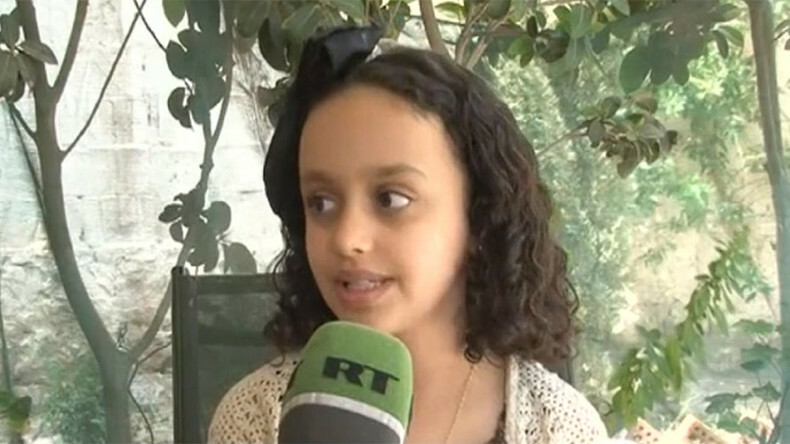 Ten-year-old Yara is pleading for the US to stop selling weapons to the region. “I want America to stop the war. At least if they can’t stop the war, they can stop selling weapons to Saudis,” she urged.